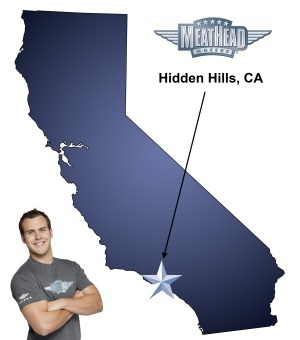 For a trouble-free move to Hidden Hills, Meathead Movers is the company for you! Our professionally-trained student-athlete Hidden Hills movers are ready to get you into your new home. Our professionally trained student-athlete Hidden Hills movers and moving concierge service are here to help you with every stage of your move. If you are moving to or from anywhere in Hidden Hills, Meathead Movers is the moving company for you! Hidden Hills is a small gated community nestled in the Western Hills of the San Fernando Valley. Despite being in hectic Los Angeles County, the city has managed to escape the hustle and bustle of city life by preserving an authentic country way of life. Hidden Hills’ beautiful rural environment truly makes it the hidden gem of Los Angeles County. If you are looking to move to this idyllic community, Meathead Movers is here to help. Our moving company specializes in local, long-distance, and commercial moves to, from, and within California. We also provide reliable packing, storage, on-site relocations, and our distinctive moving concierge service, which helps connect you to trusted service providers in your new area. All our student-athlete Hidden Hills movers are thoroughly screened and trained before their first move. With branches throughout California, we are your one-stop resource for all your moving needs, no matter where your move takes you. We have been revolutionizing the moving industry since 1997. When you entrust your move to Meathead Movers, you can rest assured knowing that your move will be a success because our professionally-trained student-athlete Hidden Hills movers are the best movers the industry has to offer. Moving to Hidden Hills? Here are some helpful resources. View more Hidden Hills resources. The people that I worked with were so nice and helpful. They worked hard the entire time (even during this crazy heat wave) and we chatted the entire time. I genuinely enjoyed their company; they made my move so much better than it would've been otherwise. Plus, my service representative got me a present, and I LOVE gifts. He was wonderful to begin with, but I didn't expect him to go out of his way like that. The best words to describe Meathead Movers are "above and beyond," because that's what they're always doing! Reliable, very positive and willing attitude, no surprises, made our move seamless. Well done! Very efficient - felt like everything was very well organized. The reason I accepted yours, the highest rate of all interviewed movers is that after talking to your salesman I thought that you could handle my most treasured antique secretary. Not more than 1/2 hour after arriving at our new home less than 10 minutes away from my old house I was informed that indeed it had been shattered. This is because your movers didn't know NOT to put the top chest on it's side rather than standing it up on the base. This should be common knowledge to any seasoned mover. All the presure was resting on the two hand blown glass doors. I stressed to everyone of the group and the salesperson that this piece was priceless. had been transported across the ocean hundreds of years ago on a ship. The across this country in a wagon, but your Meatheads couldn't carry it safely from Agoura California to Calabasas! I am devastated! !It will never been worth what it was without the original glass and the 10k of insurance will in no way cover the loss. I leave tomorrow for France and will have to deal with this upon my return June 20th. In the meantime I will try to find an Antique restoration expert who can advise me of how to proceed with the repair. Sincerely upset, Jean M. Thoren BTW, this was not the only piece that was damaged,but for me, it was the only piece that mattered and your staff knew and understood that in no uncertain terms. If they didn't think they could get it here safely I would have hoped that they would decline to move it in the first place.